Well, have I got the challenge for you! 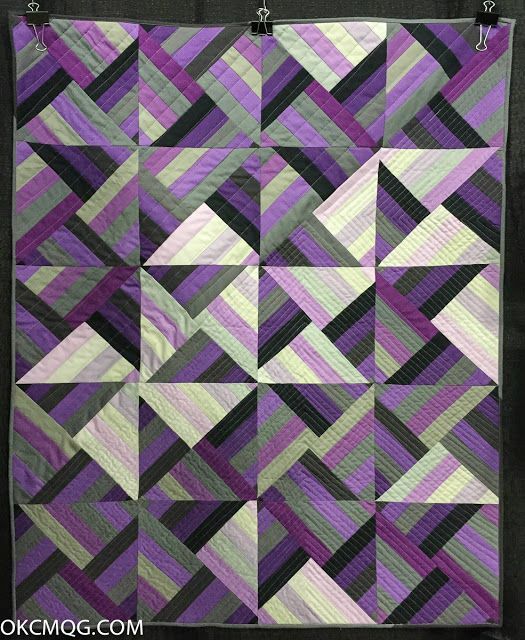 For the 2017 Winter Quilt Show in January, it would be awesome to show what you can do with color. This will be the fourth year OKCMQG will be showing a Modern collection of quilts at the WQS—and I would like to issue a challenge. It is pretty simple: make a quilt using your favorite color. Color Must be at least 75% of one color family and 25% other color(s), or ALL one color family. Our goal is to fill up our WQS space with all of your Modern Color challenge pieces* so the greater the participation, the bolder the impact! Want to see your entry in print? Submit a high-res photo of your challenge piece and the Guild will vote (in October) for the image to represent our “Modern Color” display that’s published in the WQS program! *Along with Modern Color challenge pieces, new quilts that were not displayed in the 2016 WQS will be accepted for 2017 WQS. Challenge from our Sister Guild in Budapest! Show and Share/Flaunt Your Finish Super-Post!